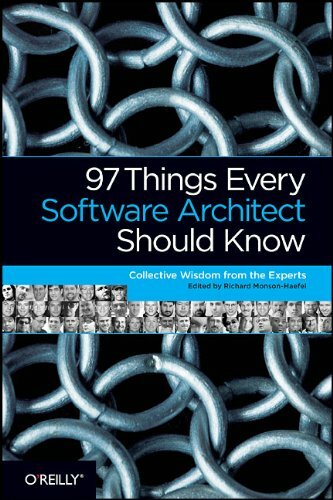 These articles are the original, unedited contributions for the book 97 Things Every Software Architect Should Know. Today's leading software architects present valuable principles on key development issues that go way beyond technology. The problems to solve in software engineering are so complex or large, that a single developer cannot solve them anymore. This book is an introduction to the art of software engineering. It is intended as a textbook for an undergraduate level course. Written for students who are preparing for their first computer programming language class. The topics are presented in an easy to understand fashion with special emphasis on the fundamental concepts necessary to develop quality software programs. This book sets out the new field of software innovation. It organizes the existing scientific research into eight simple heuristics -- guiding principles for organizing a system developer's work-life so that it focuses on innovation. Tap into the wisdom of experts to learn what every programmer should know, no matter what language you use. With the 97 extremely useful tips for programmers in this book, you'll expand your skills by adopting new approaches to old problems.